Home > Real Estate - Alerts > DLF Ltd Fined Rs. 10 lakh for wrong disclosure..! Market regulator SEBI imposed a penalty of Rs. 10 lakh on DLF for making wrong disclosures with regard to utilisation of funds raised through its IPO. The regulator conducted an investigation into the scrip of DLF Ltd for the period June-December, 2007 to ascertain any possible violation of the regulation. It found that the company had made wrong disclosures to stock exchanges regarding utilisation of IPO proceeds. “I conclude that the noticee (DLF) by making wrong disclosures as regards variation in projected utilisation of funds vis-a-vis actual utilisation of funds for the quarter ended September 2007, had violated the provisions of ... Listing Agreement,” SEBI Adjudicating Officer BJ Dilip said in an 18-page order. 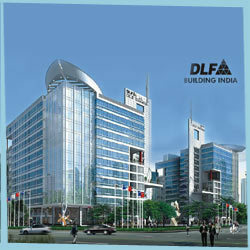 In its filing to exchanges for the said quarter, DLF said it had utilised an amount of Rs. 3,143.56 crore towards prepayment of loans, up to September 30, 2007. But according to the filing for the December 2007 quarter, DLF had shown the utilisation of funds under the same head prepayment of loans as Rs. 2,469.75 crore. In another instance, DLF Ltd had come under the scanner for inadequate disclosures in its IPO prospectus with regard to a criminal case filed in Delhi against its subsidiary. SEBI had imposed a fine against the company’s promoters in that matter too.